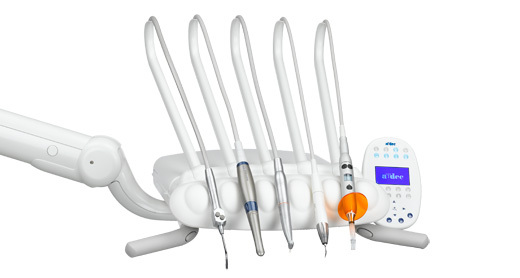 Selection of a dental delivery system is critical in achieving optimal operatory functionality. 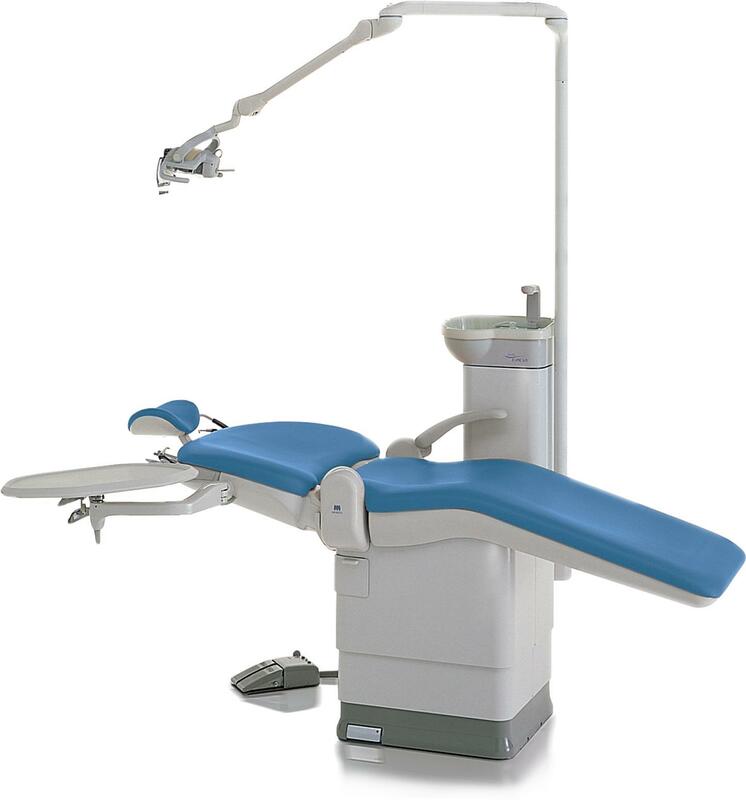 Among the configurations available are chair-mounted, base-mounted and portable, with chair and base-mounted units available as rear, side, over-the-patient, or over-the-head systems. 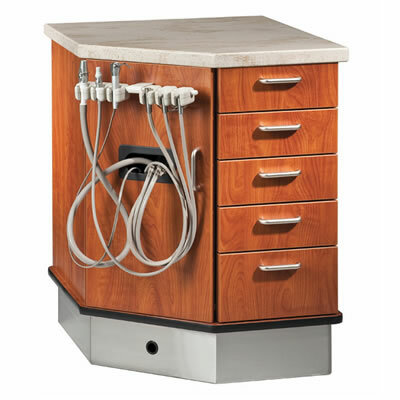 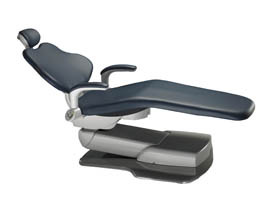 Rear-delivery systems keep equipment out of patients’ view, are the least expensive way to connect to utilities, and tend to be more ergonomic for 4- versus 2-handed dentistry. 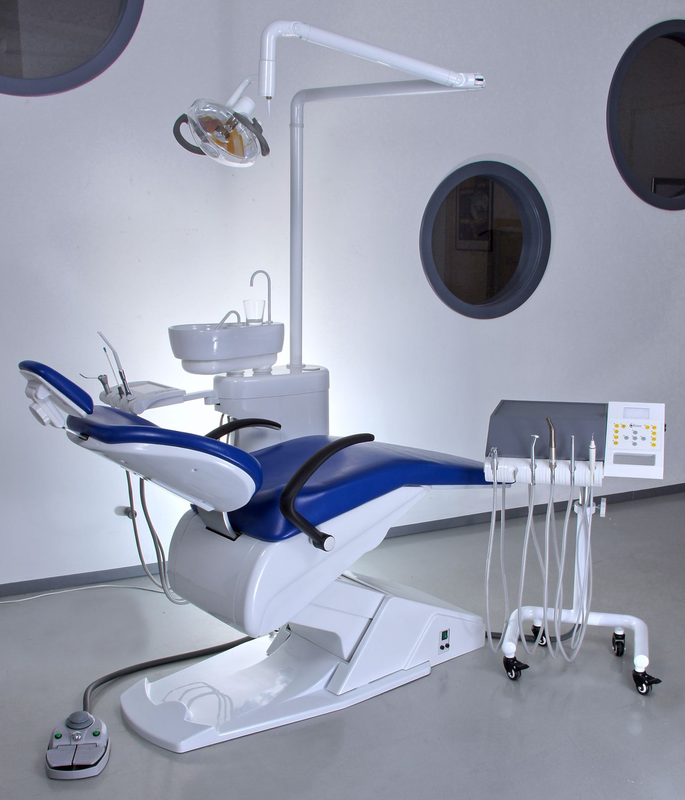 Side-delivery systems tend to require less trunk-twisting for instrument retrieval and, while visible to patients, over-the-patient systems allow the user to move freely from the 8 o'clock to 12 o'clock positions around the patient's head. 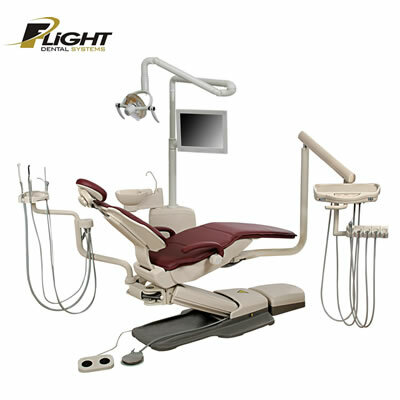 Combining benefits of both over-the-patient and rear-delivery systems, over-the-head units allow the operator to practice from the 7 o'clock to 1 o'clock positions with supplies positioned ideally for assistant access, and convert rapidly from right- to left-handed function. 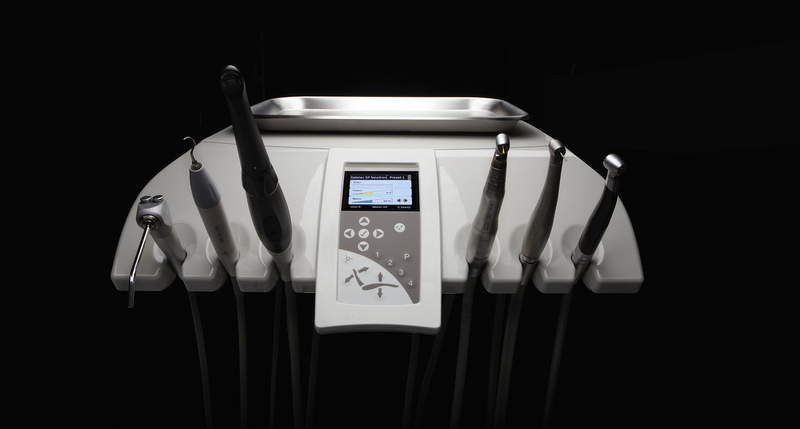 Delivery systems typically include automatic activation for at least 3 handpieces, a self-contained waterline with asepsis tubing and purge system, airflow control and a control panel with wet/dry foot control. 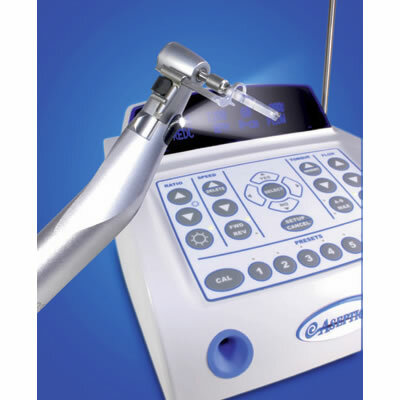 Many of today’s units also integrate accessories such as fiber-optic systems, intraoral cameras, x-ray viewers, air abrasion units, ultrasonic scalers, electrosurgical devices, curing lights and touchpads. 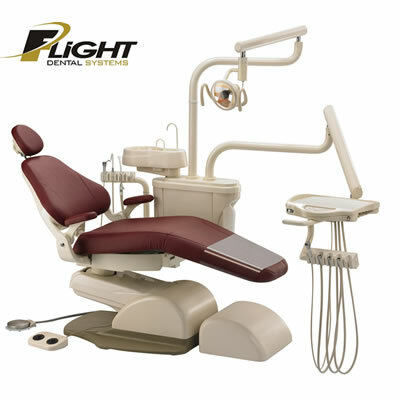 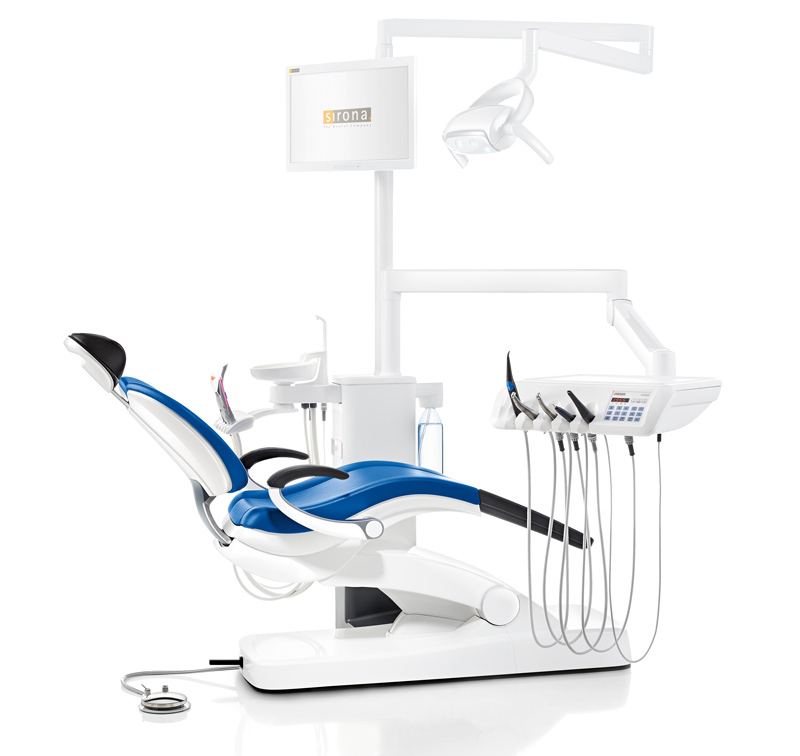 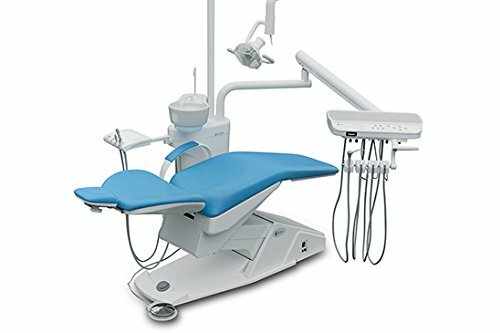 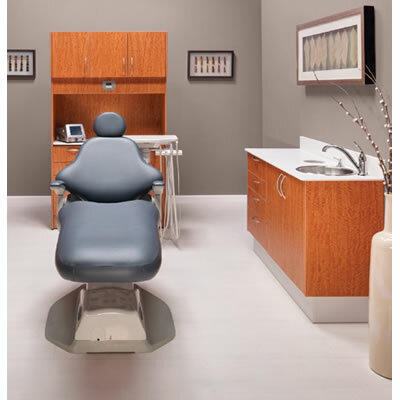 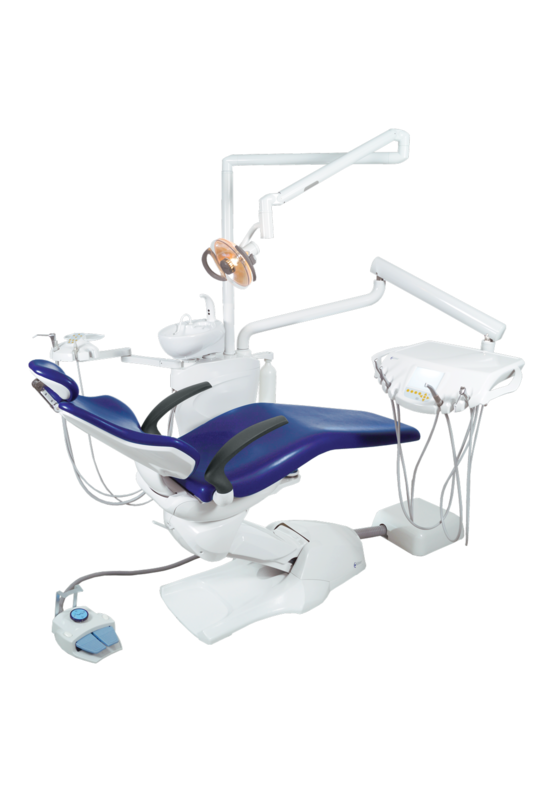 The A10 is one of Flight Dental Systems' premium packages featuring a large dentist work surface and 1-piece cuspidor.